Tasks with task status "Unclaimed" are created but not assigned. 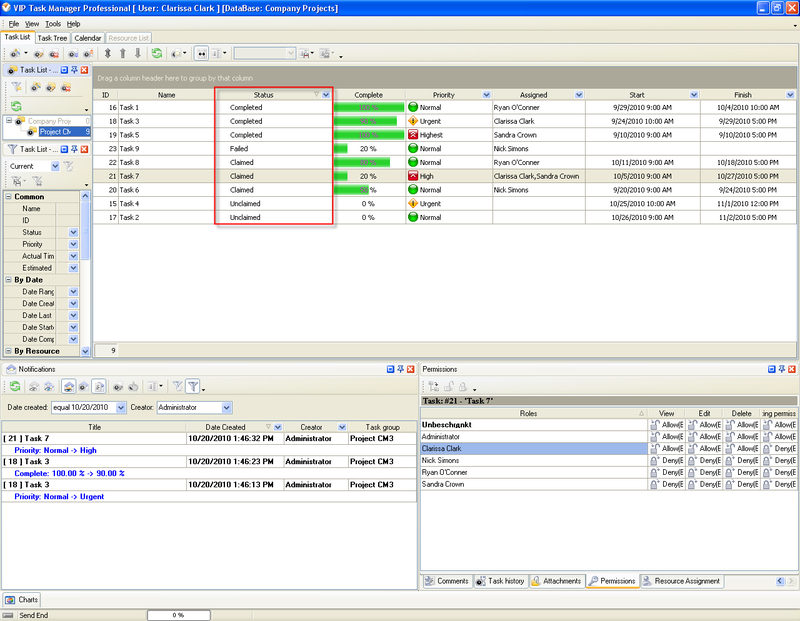 Task Status "Claimed" shows that the task was assigned and currently, theassigned resource is going along with the task. Task Status "Failed" means that the assigned resource failed to completethe task. Task Status "Completed" renders that the task is successfullyaccomplished. In Name field enter custom field name, for example, "Workflow 16". Click "Ins" button, enter the status name "Unclaimed" in Name field and click "Ok" button. Click "Ins" button, enter the status name "Claimed" in Name field and click "Ok" button. Click "Ins" button, enter the status name "Failed" in Name field and click "Ok" button. Click "Ins" button, enter the status name "Completed" in Name field and click "Ok" button.